While content and email marketing are always changing, there remains several proven ways to use them to find real return on investment. 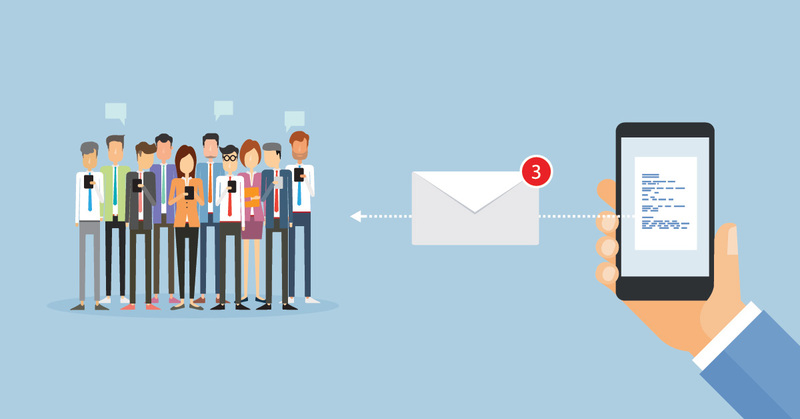 Use the following five email marketing tactics to see results from your campaign in 2019 and beyond! Many staffing agencies expect companies to come to them when they need help finding someone. Why not bring the available talent directly to them – or at least, their inbox. Sending emails featuring short write-ups that promote your top talent can shorten the time between finding the candidate and placing them. Just because you place a job seeker in the past does not mean they are employed in perpetuity. Send an email to candidates currently on assignment (even better, ones who are on assignments that are ending soon!) letting them know you are available to help them find their next job. Good candidates know other good candidates. Incentivize referrals through some form of a rewards program (referrals earn $25, a local coffee gift card, or their name entered in a raffle for a more substantial prize) and let the good workers come directly to you. Employed candidates are not necessarily happy candidates. Sending a listing of your best openings to candidates – placed or currently seeking work – can remind them of better opportunities available. And if you want even better results, segregate your lists by industry, position, shift, etc. and see your response rates increase. Whether you’re sending pertinent employment law updates, top talent, hot jobs, or a friendly seasonal message, there’s no way to measure the value of keeping your company’s name in front of employers and employees alike. Instead of taking the time to call or email each person individually, spend a fraction of the time and cost by sending out a mass email – with better results and real return on investment. Ready to start maximizing the output of your email and content marketing program? Talk to the marketing experts at Haley Marketing group today! It’s Tax Season! What Are You Doing to Prepare Your Candidates?